The season officially kicks off in less than a month! 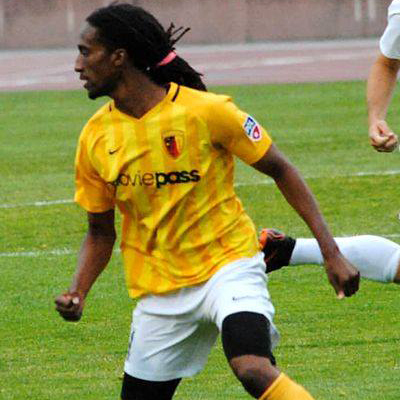 It's time to introduce you to some of the SF City FC players who will defend Kezar this season! And who better to start than The Beast? Robbie Hines, last season's captain, is returning for his third year with the team. At 24 years old, "The Beast" has earned his nickname holding down the centerback position for SF City. That beastly energy is something he carries with him every day. "I cannot separate the person I am off the field from who I am on the field," he said. "The ferocious, or beast, energy is what I try to cultivate and use at all times for balance in my life." Robbie has no regrets about his time with SF City FC. Nor, in fact, would he alter any plays through the course of his playing career. "I prefer not to choose any," he explained, "because they are lessons and insight that I can reflect back on as a player. In the future, they are the plays I can use as experience for instruction to a young athlete." "Hypothetically, though, I'd probably change the Cavs-Warriors 2016 [NBA Finals], Game 4. Draymond Green got a flagrant-1 and was suspended for Game 5, when LeBron and Kyrie had big nights. Turned the tide for that series..."
Most importantly, Robbie has worn the famed pigeon mask and called it a "sensational" experience. "Although the eagle is my spirit animal," he said, "the SF City pigeon is a close second."